The Satanic Rites of Dracula is a fun little horror-thriller that places two amazing veteran actors together in Peter Cushing and Christopher Lee, the latter once again portraying one of the best cinematic villains in Dracula. A dying man’s report of a ritual black mass stirs Britain’s security chief into action, and a mansion filled with young vampire girls is soon discovered. And this is but the first twist in a labyrinth of horror. 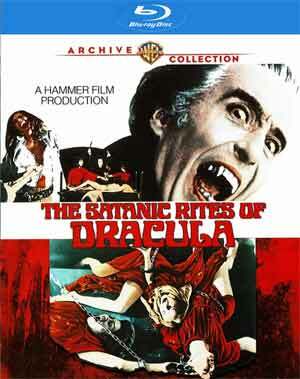 The Satanic Rites of Dracula (a.k.a. Count Dracula and His Vampire Bride) is the follow-up to Dracula A.D. 1972 where Count Dracula (CHRISTOPHER LEE) following a more pulpish, super-villainous playbook, posing as a millionaire industrialist alive and well and living in London while secretly brewing up a batch of super-plague in a quest to destroy the world. Going up against the Count is the descendent of Abraham Van Helsing, Lorrimer Van Helsing as portrayed by Peter Cushing. The only feature included is the Theatrical Trailer. 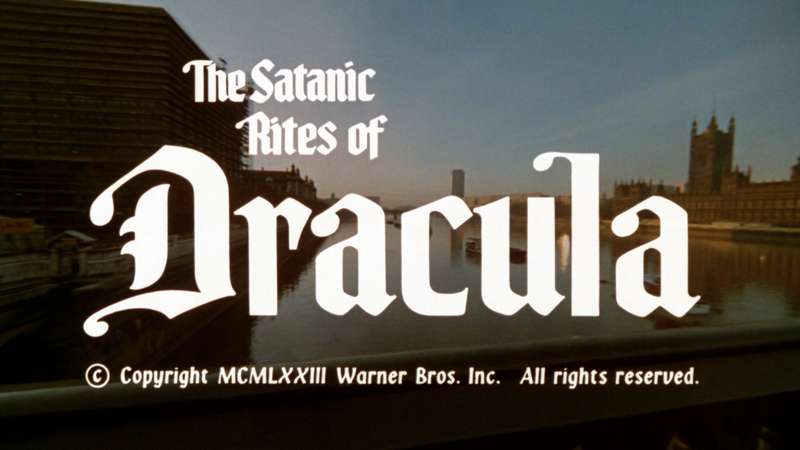 The Satanic Rites of Dracula sinks its teeth onto Blu-ray presented with a new 1080p high-definition transfer and shown in 1.78 widescreen aspect ratio. The picture quality here is respectable and although it’s nothing eye-poppingly gorgeous or anything, still rather impressive. Colors are fairly bright throughout and save for a few minor specs of dirt, are to some extent clean. The included DTS-HD Master Audio 2.0 Mono track which produces good and clear dialogue though in some spots I did hear some slight hissing, however it’s not in the least bit distracting. 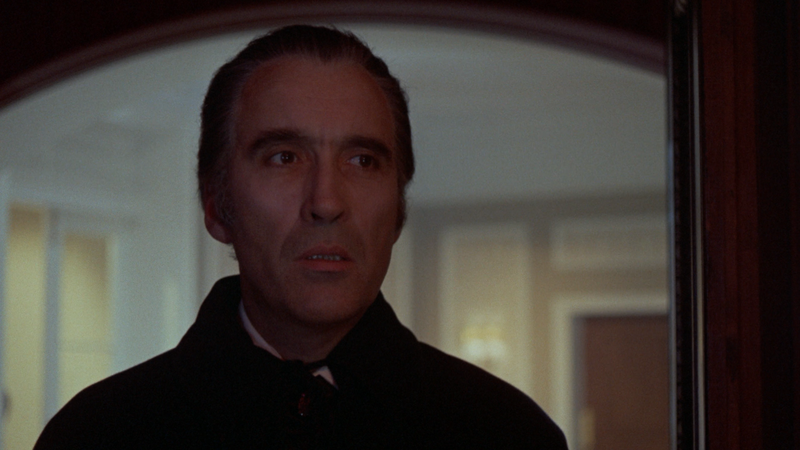 Overall, The Satanic Rites of Dracula is a fun little horror-thriller that places two amazing veteran actors together in Peter Cushing and Christopher Lee, the latter once again portraying one of the best cinematic villains in Dracula. This Blu-ray release from Warner’s Archive Collection and while the features are lacking, the video/audio transfers were pretty solid.